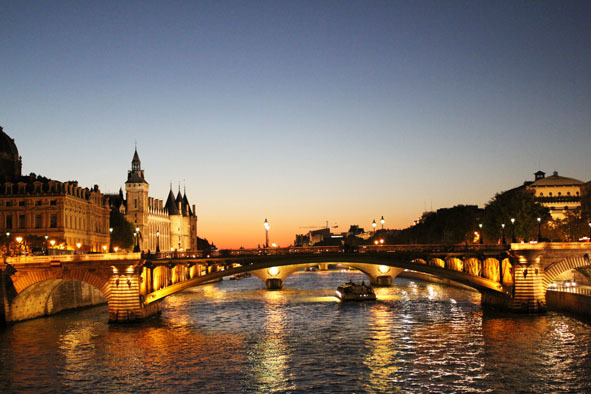 Universally celebrated as the citadel of romance, Paris is the ultimate destination for many honeymooning couples. This dreamy city serves as the wonderful backdrop for a memorable fantasy romantic honeymoon. Since centuries, Paris has been attracting love birds from all over the world who found an expression of their passion in the sublime beauty of Paris. There is no dearth of romantic exploration in this city of splendor. Therefore planning a honeymoon to Paris can add that extra icing on your sumptuous wedding cake. Honeymoon is a memorable experience that you will cherish for the years to come and therefore it is only smart to plan it well and ahead before your board your flight. However, planning hasty or lack of preparation might take a toll on your honeymoon in Paris. These five easy and essential tips will help you to arrange your honeymoon without any fuss. Before you book your flight and accommodation, make sure check the weather in Paris. Spring is the most beautiful time to visit this city. Get yourselves travel insurance in case any emergency forces you to reschedule the trip. Check all your documents like passport, visa et al. You check the US State Department website for more details on the same. While planning a honeymoon to Paris, make sure you have enough money with you for necessary spending. Pack very wisely by combining casual and formal dressing to make the most of your vacationing experience in the city of Paris. And if you have already landed in Paris, it is time that you explore this city and the heart of your beloved. Stroll down the gorgeous and brightly lit boulevards of Champs-Elysees or enjoy a gastronomic extravaganza by dining at the haute cuisine or boutique restaurants on Left Bank. Planning a honeymoon in Paris remains incomplete unless you attend the operas that Paris is famous for. Opera Bastille or Opera Garnier is renowned all over the world and it will definitely give a vent to all the pent-up passions of your heart. Paris is abounding by exemplary sightseeing options and entertainment. If you are a risk taker, trying placing bets on those ponies at Hippodrome de Longchamp. You can take your love to the Notre Dame so that you can soak yourselves in the classic beauties of Paris while hold our hand and stroll through the iconic park. No wonder, planning a honeymoon to Paris is an exciting way to make the experience an unforgettable one. This entry was posted in things to do in Paris and tagged Champs Elysees, honeymoon in Paris, Notre Dame:, Opera Bastille, Opera Garnier, planning a honeymoon to Paris, weather in Paris. Bookmark the permalink. Hello Paris trips team, I am a community manager in Just for Two. Your blog appeals to what we provide on our website http://www.justfortwo.fr/en/ and what we write about on our blog http://blog.justfortwo.fr/?lang=en . Please, have a look and let me know if you would be interested in an editorial partnership with us. And for now: good luck with blogging!